From chairs & sofas to matching cushions and pillows, porch cushions and outdoor furniture, we’ve got you covered. Anything floating or on wheels that you sit on, sit under or step on, we can handle. From custom interiors, headliners, door panels & seats to convertible tops and carpet. We do custom motorcycle seats & simple repairs and recovers. 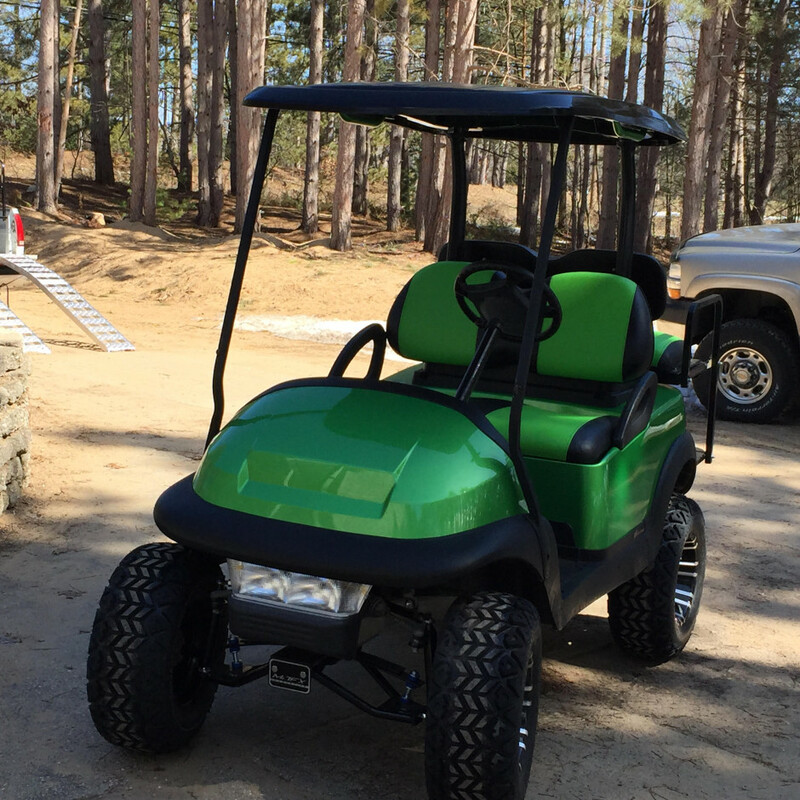 Golf cart seats and enclosures, tractor seats and covers, truck seats and heavy equipment seats can be replaced and reconstructed so they are better than new. Restaurant booths, waiting room furniture and exercise equipment can be recovered more cost effectively than new. repaired or customized with team logos. If you can dream it, we can design and make it. R-Custom Fabric Products is committed to bringing you quality stitching solutions for the commercial and residential marine, automotive, recreational, furniture, medical and industrial industries (formerly known as Luker Custom Canvas). Call us today to see how we can provide you with custom stitching solutions. Registered dealer for SunSetter awning products.